The Courthouse will be closed Friday, April 26, 2019 in observance of Arbor Day. 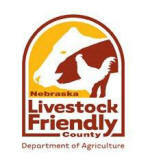 We invite you to browse our web site to learn about our various County offices and the services Merrick County, Nebraska offers its citizens. Courthouse hours are from 8:00 - 5:00, Monday - Friday except on holidays.